‘Current News’ – excuse the pun but I thought this an appropriate heading! 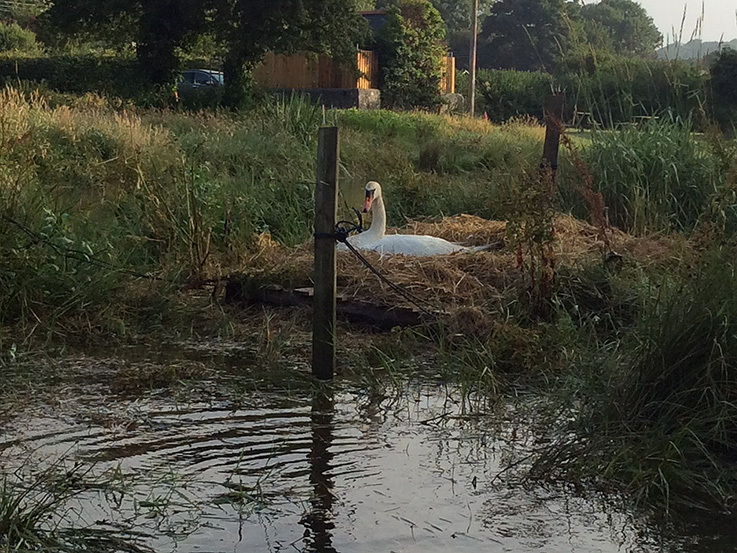 The river swans have failed with their nesting this year, probably because the pen laid her first egg on the river bank from where it must have floated into the river on the next spring tide while we were away). In recent years we have always provided a floating platform and transferred the nest and any eggs onto it, but this is now a task for those younger than myself and Linda, and it would be good if some others could take on this responsibility, otherwise no cygnets for future years. Having failed to take over last year’s nesting platform on the small headland west of the Wheel Inn, it was promptly taken over by a pair of Canada geese which hatched three young some 10 days ago; two of the goslings have survived and are growing well, taking wholemeal bread and some poultry corn from us and other frontages of the river. The swans seem to be respecting them most of the time. I haven’t seen any swallows yet, and am generally concerned at the declining numbers of these summer visitors. Perhaps their food sources are in decline or they may be suffering predation, but out is noticeable how the skies are no longer filled with their wonderful cries during the summer months, at least here in Tresillian. Fortunately the same cannot be said about the house martins. They successfully reared last year from a clay cup erected at the apex of our gable wall, and this year have returned in such numbers that a skyscraper is being built on the clay cup; currently they have a pair of semi-detached residences, but with the large numbers flying in and out each day there may be more before summer is out. I see that others in the village have also erected clay cups on their gables – a great idea to help sustain wildlife. 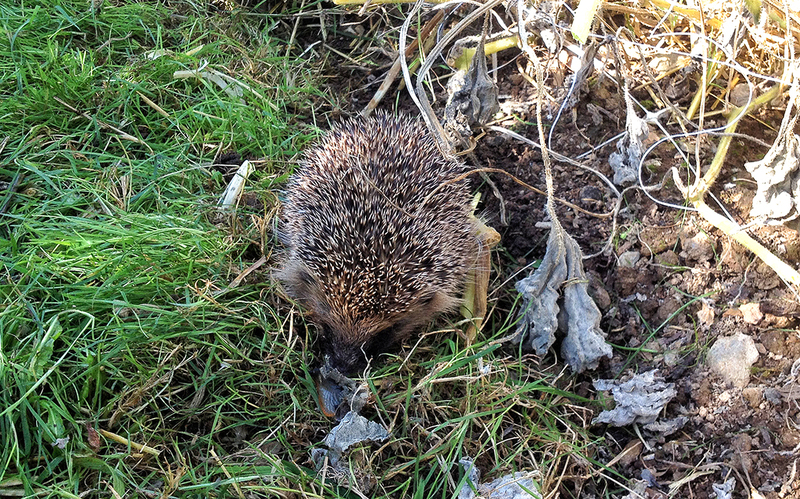 Last year at least 5 hedgehogs were flattened on the A390 in the village. These creatures are voracious slug eaters and need to be encouraged, so do please try to avoid them when driving in the evenings and at night. 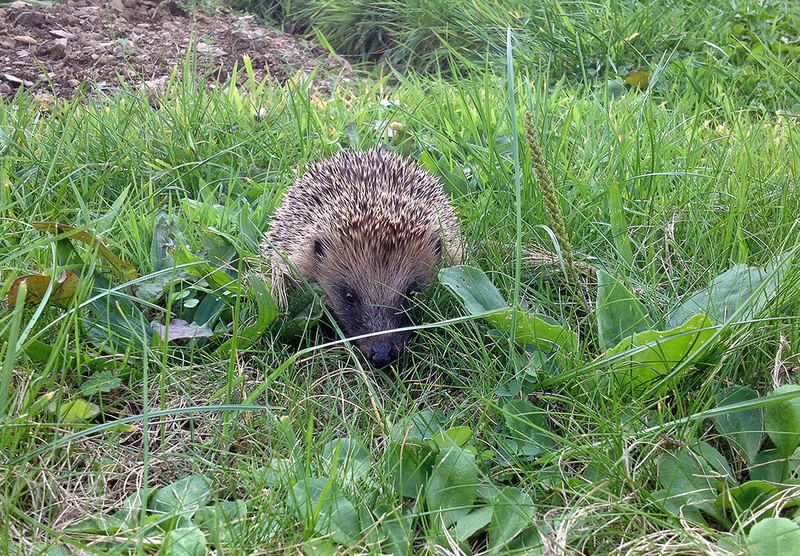 Hedgehog numbers have declined in recent years, and again this is something we can reverse if we care about our gardens and countryside; please avoid putting slug pellets in the garden and revert to natural remedies – gravel and sand will generally deter slugs and snails. I am told that coffee grounds also do the job. 13-07-2018 Article from Philip Buddell. Tresillian River Swans Update. Yesterday evening (12th July) Gerald Bennetts, Linda and I set about saving the swans’ nest from the on-coming high tides of the coming days by moving the raft we had built last year from the promontory below the Wheel Inn to the small nearby island on which the birds had decided to make their second home for the year. We then provided additional dried grass nesting material from the allotments and carefully moved the nest wholesale onto the soon-to-be-floating platform. All went exceedingly well and the pen went straight back onto the nest and her two eggs. This morning all is calm and peaceful; the nest is now well above high tide levels and of course can float when the high tides of this weekend would otherwise have covered all their work and probably resulted in the loss of the small clutch. The swans had failed in their earlier attempt at nesting this year, having chosen a site near the nesting platform’s original position which was then washed away in the spring tides of April when we were away. 22-08-2018 Photos from Malcolm James & Cherry Helene. 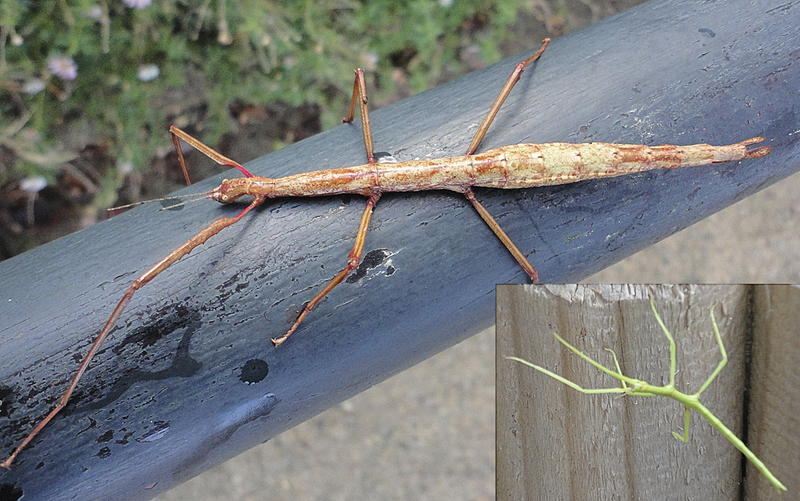 Stick insects are not that uncommon in Cornwall due to our relatively mild winters, but this red one is rather unusual. Green types, like the one inset, are a great deal more common. 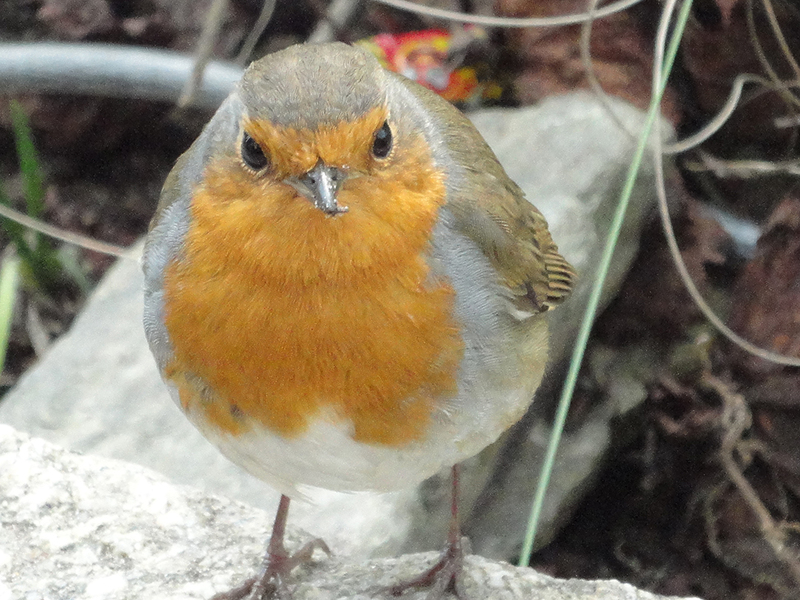 Who does not love a Robin. Voted Britain’s favourite bird in 2015. Joining in with the Cornwall Wildlife Trust’s ’30 Days Wild’ in June this year for the first time has spurred me on to be extra creative about encouraging more wildlife into areas I have not necessarily considered so far. 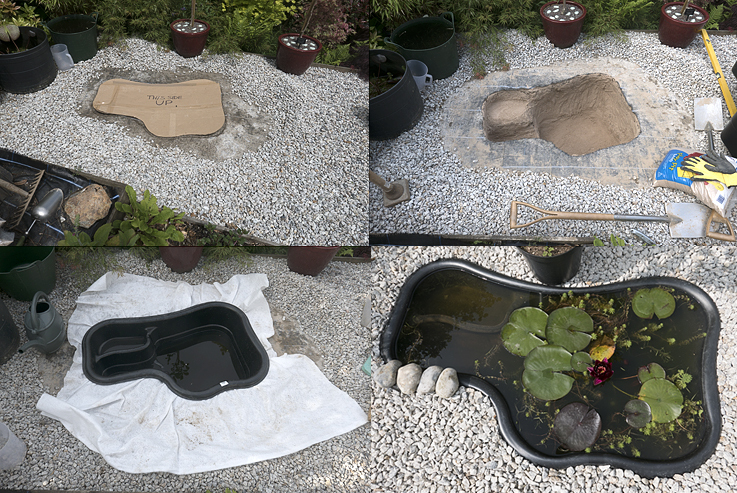 My first project was to incorporate a small wildlife friendly pond into a part of our garden that is being redeveloped in an informal oriental style. 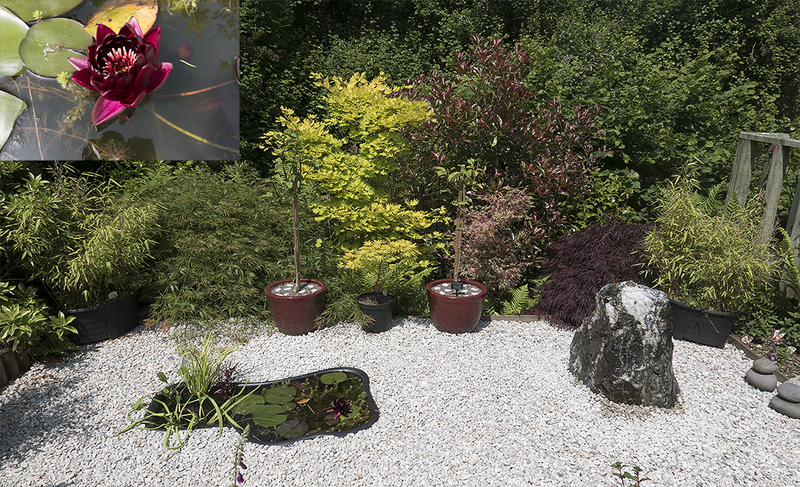 Next, more plants were added. 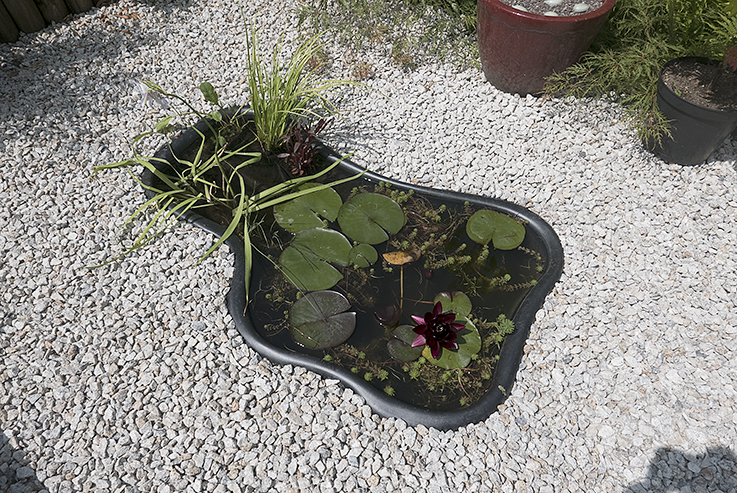 Final result with the stunningly beautiful but difficult to find available Water Lilly ‘Black Princess’ inset. I have, for the last 18 months been trying to set up a home for one of our local Hedgehogs which I have seen around the estate on numerous occasions. I have built a Hedghog House and left two corners of my garden to ‘Grow Wild’ as well as siting the house and providing dried hedgehog food (subsidised by dried cat food and dried mealworms and 3 fresh water stations) and have 1, 2 or 3 regular tenants whom I look after. I love the little beasts and hate to see them squished on the roads and ask that everyone ensures that they allow a Hedgehog Highway through their garden including all my neighbours. (A small Hole in their fences to allow perambulation of the hogs during the night. They can walk very long distances in search of food). For two days running, September 28th and 29th I have seen and photographed solitary hedgehogs roaming around the Tresillian allotment site. This is doubly good news as there is evidence of hedgehogs in and around the allotment area and the fact that one of their favourite munches are slugs. It’s also a reminder that we should not be using slug pellets indiscriminately, if at all. 28/09/2018 hedgehog snuffling close beside plot with butternut squashes resting on straw where plenty of slugs have been noticed (slugs like the damp straw, but thankfully have not, as yet, eaten through the tough skins of our squashes). 29-09-2018 hedgehog on its travels across the allotments. 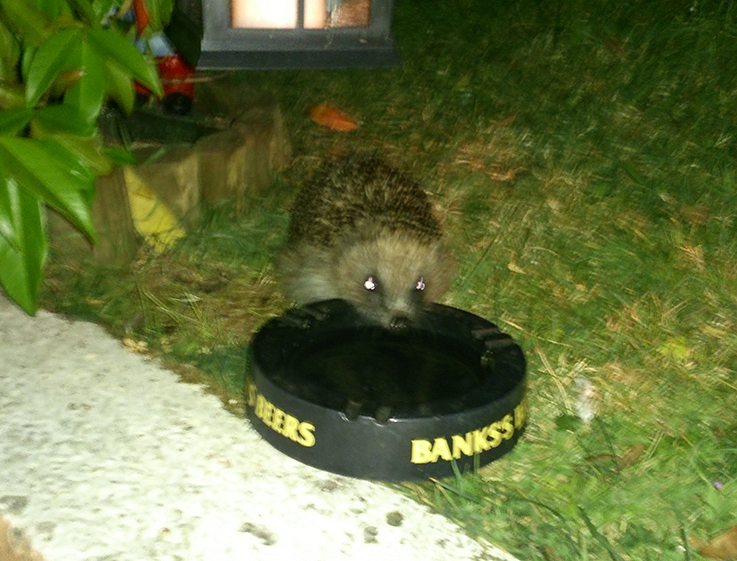 So far, it seems like a good year for hedgehogs in Tresillian as apart from Mike and myself other people have also reported seeing hedgehogs regularly in gardens around the village. 19-10-2018 Article from Philip Buddell. Tresillian River observations. What a wonderful time of year is our autumn! The river is awash with sea, river and land birds of innumerable varieties, the mullet are still swimming in great numbers the far upstream, catching river crabs and subsequently returning them to the water provide entertainment for our grandchildren, and the brilliant sunrises of recent days cheer our hearts as daylight shortens. I counted over 250 Canada geese flying overhead this morning, usually in skeins of 10-20 at a time, but sometimes as many as 40 in a group, making their plaintive honking sound as they head eastwards for a morning feed on one or other of our neighbouring farms. Standing beneath their flight path, they remind me of squadrons of Lancaster bombers, often in perfect ‘V’ formation and with Douglas Bader at their head leading the way – spectacular. Their daily pattern is then to return to the river from mid-morning to spend the rest of the day feeding on the Tregothnan banks or simply preening themselves in the river or on the shore until the tide returns. As the sun goes down they again fly off in an easterly direction for a little farmland supper before heading back downstream from here to their roosting area close to the bank at the west end of the village close to Pencalenick, by which time it is almost completely dark. I never tire of watching these beautiful birds, and now even our majestic pair of mute swans have accepted them as neighbours, though they still do not enjoy sharing any wholemeal bread with the visitors. There are probably between 120 and 150 black-headed gulls also wintering on the river between Tresillian and Malpas, having successfully nested in or near Denmark; these birds spend around 8-9 months each year locally before heading off to the continent in March. We have had many recent sightings or glimpses of the kingfisher, which occasionally will rest on one of the ropes forming the boundary between our garden and the river; once a suitable perch is found they will dive for some of the multitude of small mullet which abound. This points well to the health of the Tresillian River and the work that has been done over many years to improve the water quality of local streams and watercourses. It’s now mid-day and many of the geese have returned, landing further downstream by the garage before paddling up towards the bridge, often line astern, reminding me much of the sight of the US 6th Fleet behind their battleship commander. Time for a coffee! 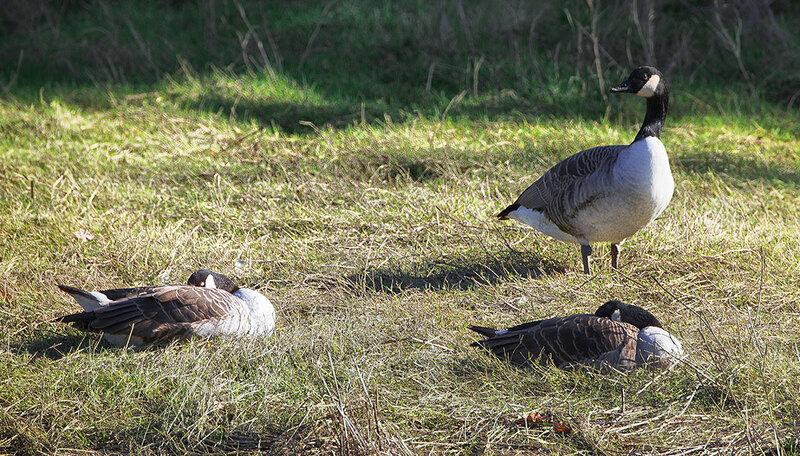 20-10-2018 Photos of Canada Geese from Cllr Keith Littlejohns. 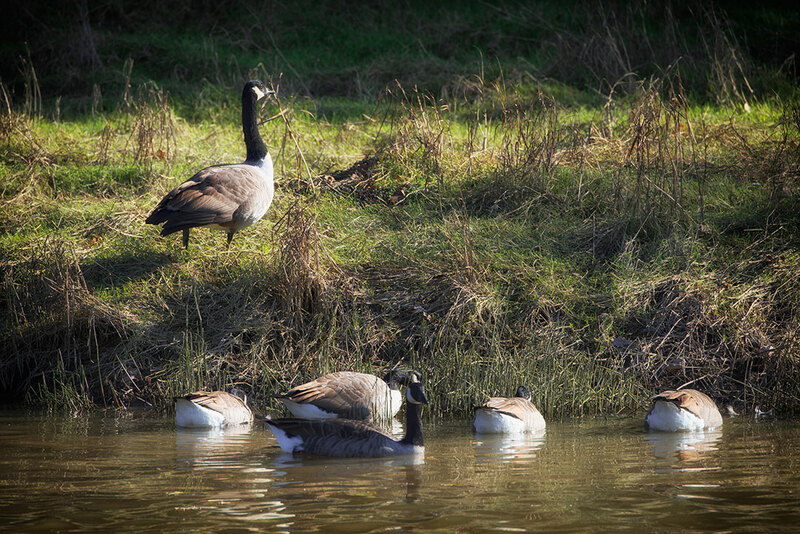 Canada geese resting serenely and feeding at mid-afternoon on the opposing bank as seen from Graham Ellis’s garden beside the tranquil water of the Tresillian River on a bright and warm, Cornish autumnal day. 22-10-2018 Photo of White Wagtail, Cllr Keith Littlejohns. 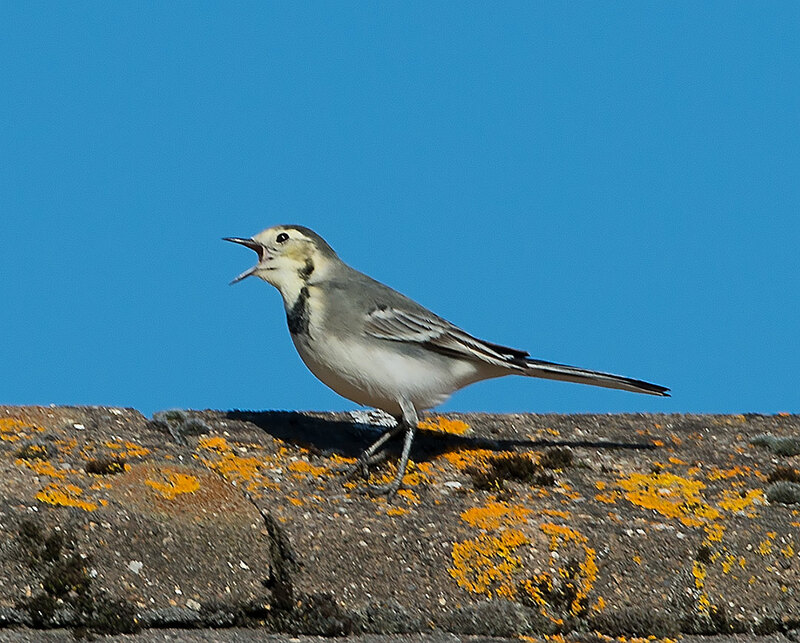 A white wagtail searching for food and calling to its mate from high-up on our rooftop, a typical perch for wagtails. 15-11-2018 More ‘Feathered Tails from The Riverbank’ – Philip Buddell. Is it the effects of Brexit, climate change, a mild winter (so far) or simply the quality and quantity of the food they are finding? 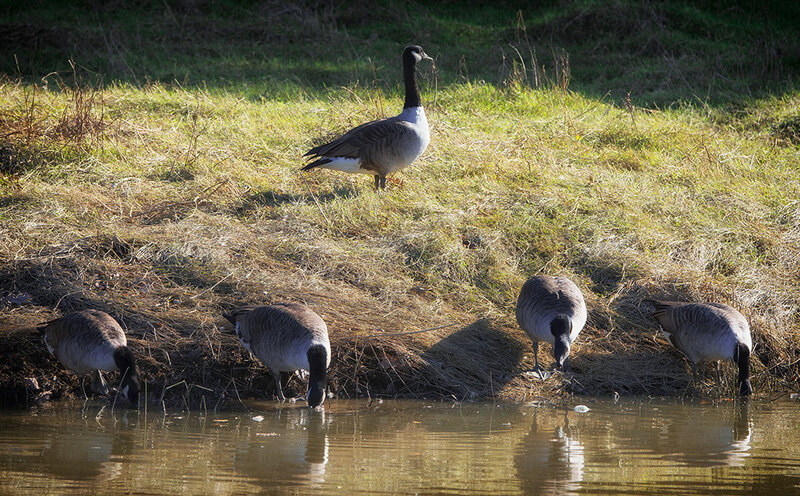 Wildlife on the river seems to be thriving. 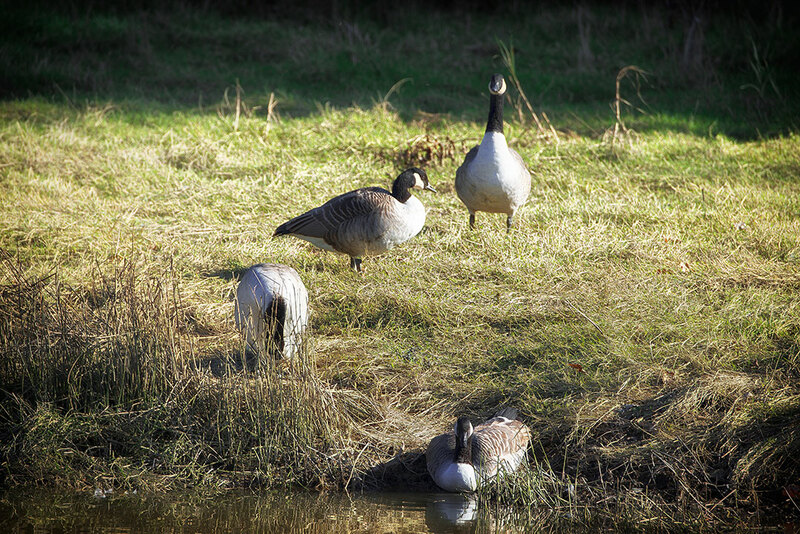 Canada geese are in abundance, so much so that rumour has it that the residents of St Clement will have no need for the purchase of turkeys this Christmas! A pair of little grebe (dabchicks to many) are happily scrounging the river bottom, mallards are getting down to business as are the local moorhens; however, most significantly ‘our’ pair of swans began mating last weekend after the service of remembrance at the playing field, and have carried on their routine each day since. Perhaps it is a combination of all these factors which is affecting them, though it is doubtful they are currently tuned into the great Westminster debate, but we could be seeing a very early clutch of eggs (and a number of cygnets) the way events are happening. I have just seen the kingfisher flash by on his river patrol, no doubt calling at his favourite haunts for a spot of diving to catch his lunch; cormorants are daily visitors, as are herons and egrets, added to which are the screeching black-headed gulls, scrabbling over any tiny morsel which other river birds may have missed. We are very fortunate to be able to enjoy such a healthy river and where, if you can spend a few minutes quietly observing, you will invariably catch sight of something unusual or at least a creature which will make you think just how beautiful the scene is before you. While catastrophe looms over Westminster, please do what you can to safeguard our precious environment: dispose of litter and garden waste in the appropriate bins; rubber tyres, tin cans and plastic bottles will not float out to sea but simply cause danger to all river inhabitants and users. Without the birds, fish and other creatures Tresillian would have little of its current appeal. 18-11-2018 Wildlife in Our Garden – Les Sutton. 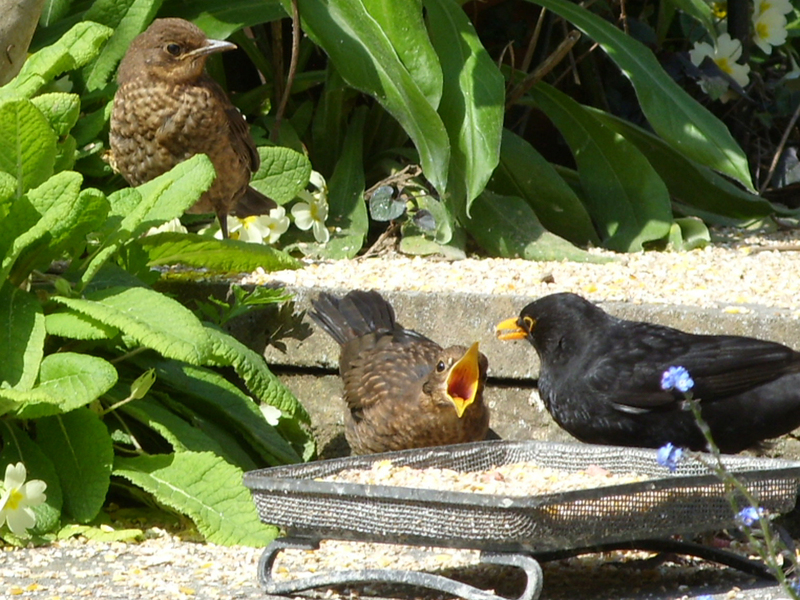 We supported the Blackbird who was feeding his young alone in our garden after the female disappeared, we continued to support them until they fully fledged. We regularly have Slow Worms in the garden and often see very young ones no bigger than matchsticks every year. Every year we have Hummingbird Hawkmoths visiting the garden, I managed to get a shot of this one when it was feeding from one of our Buddleias. The Wall Brown butterfly was one of many different ones we get in our garden every year. I was very surprised to see the Turtle Dove in our pear tree, it was a very cold icy day at the time. 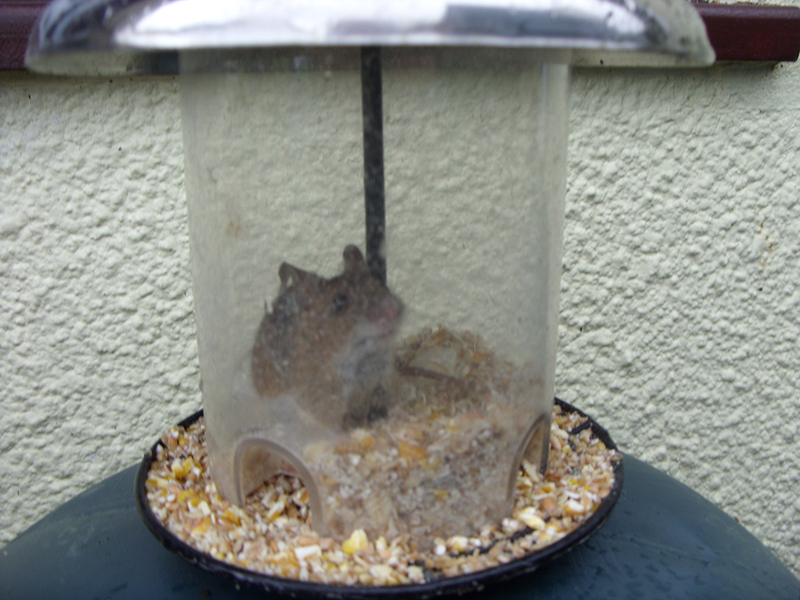 I have no idea how the Mouse got into one of my bird feeder, but he certainly couldn’t get out without help.